This is a lot of 12 Tops 316L surgical steel Leopard Print inlayed dome dermal top. Bases are one piece machine cut and internally threaded the top size 4mm. 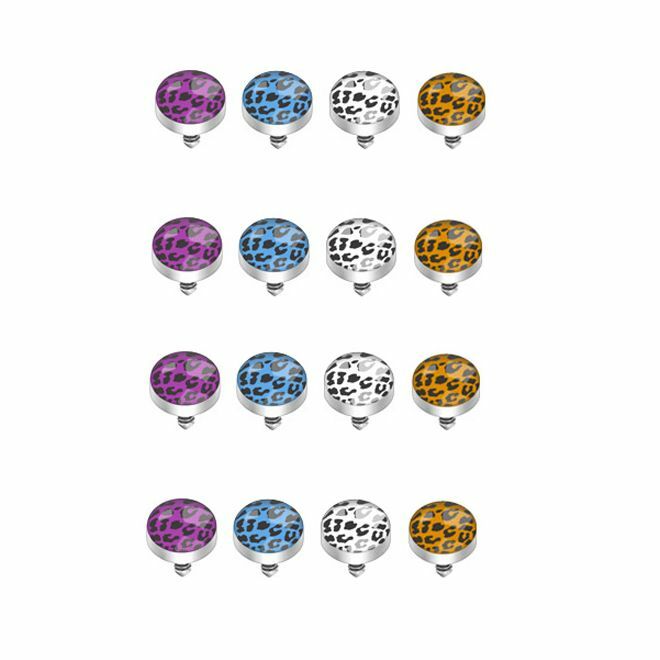 You will receive 12 dermal anchor 4 of each color.